I live just outside of Huntly, Aberdeenshire and my girls are currently kept about 12 miles away ( due to relationship breakdown and moving from steading). That's a lot of travelling to and fro between work, home and goats. 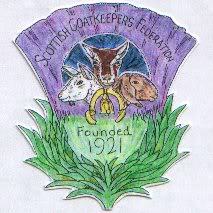 I'm looking for somewhere suitable to rent for the goats nearer to Huntly OR somewhere to rent for me and my goats within travelling distance of Huntly (can't give up the job or we all starve)! Sorry to hear you have been having problems, I will keep an eye and ear out. We are quite a bit father south, but I will see if I can find out anything useful. Are you might be on another forum as well- accidental smallholder? I've not been on the 'puter much recently so I've only just spotted your post here. Happily, I've found a wonderful place five minutes walk from where I work. It's a large concrete built shed which historically was a calf rearing shed but hasn't been used (or abused) for a number of years. It's light, airy, water-tight and already divided up into fourteen 6ft X 12 ft pens, I have space for a feed area, hay and straw storage, a water supply indoors and electricity. In addition, I get a couple of acres of grazing It's so good that I might move in myself If I were going to design a layout for myself, it wouldn't be vastly different. The people who have the steading love the goats and my pigs and as far as they are concerned, I can rent the shed for as long as they live there My biggest worry has always been the insecurity of short-term shed rentals so this has felt like a gift from the gods. What you've found sounds ideal! So glad you found someplace suitable. The problem that I find, is that no matter how big your shed is, your number of animals always expands to fit it, and to overflow! In 14 pens you could keep lots and lots of goats and pigs!